A new 96/24 DTS 5.1 surround mix of Play The Game was made for the 2002 Greatest Video Hits 1 DVD. Most of the new mixes on this DVD (including this one) were produced and engineered by Justin Shirley-Smith with additional engineering and Pro Tools HD by Kris Fredriksson. The mixes were done at Sphere Studios, London. A few seconds of silence are added to the beginning of the track for the video title card on the DVD. The Game was released on DVD Audio format in October 2003. The disc featured the original stereo album mix and an all new 96/24 DTS 5.1 surround mix produced by Justin Shirley-Smith. This version is remixed from the original multi-track tape to make use of the 5.1 channels. Both editions of the 2014 compilation CD "Forever" contain this edit of Play The Game. The synth intro is nowhere to be found here. The track starts with Freddie's lead vocal and piano. The Queen promo videos were released digitally for the first time in 1994 on video CD format. The two disc set featured Queen's most popular videos, some of which were minorly edited. Play The Game fades early, losing a large portion of the outro. This is a full instrumental version that does not begin with a click track. A version of Play The Game with Andy Gibb is confirmed to exist from the 1980 spring Queen Fan Club magzine. He was invited to sing on the track and Freddie apparently was impressed with his abilities. Queen producer Mack has also confirmed that the version did exist. It is still unknown if the tapes have survived over the years. A rare single version of Dragon Attack appears on a South African "Rock It" 7" promo acetate. It is assumed that Rock It is the A-Side because an "A" is written on the label. Dragon Attack is edited heavily from the album version. The entire bass solo and most of the guitar solo are removed and there is an early fade-out to get the track to the desired length. This track was discovered in early 2015 when the acetate was put on eBay for sale. This rare edit only appears on a hard to find Mexican 7" promo vinyl. The song fades out shortly after the lyrics "low down - I gotta make my way". The same edit is repeated on the B-side. This track premiered at the 19th International Fan Club Convention in Prestatyn. Possibly from the Jazz sessions, this demo is mostly instrumental with some shouts, little guitar, and the Dragon Attack bass loop. The 1991 Hollywood Records remasters included bonus tracks like this remix by R.A.K. and Jack Benson. The track starts with audio samples, sounds effects, and a Freddie vocal loop. The remix adds a pretty neat backbeat that fits the song well. Brian's guitar solos are removed and a rap section is added. From the Electronic Arts videogame, Queen: The eYe. A full instrumental of the album version with some remixing of drum and bass bits. A great rare performance from Queen's South American tour. We begin with Freddie's doing some vocal improving with the audience after Now I'm Here, and then going straight into Dragon Attack. The track ends abruptly at the end of a guitar chord, presumably because it would go back into Now I'm Here from that point onwards. Given that this is an official EMI release, this extended version of Another One Bites The Dust is going to be counted here as official. Just before the song plays the whole way through, this extended version restarts the track from the beginning. A new 96/24 DTS 5.1 surround mix of Another One Bites The Dust was made for the 2002 Greatest Video Hits 1 DVD. Most of the new mixes on this DVD (including this one) were produced and engineered by Justin Shirley-Smith with additional engineering and Pro Tools HD by Kris Fredriksson. The mixes were done at Sphere Studios, London. 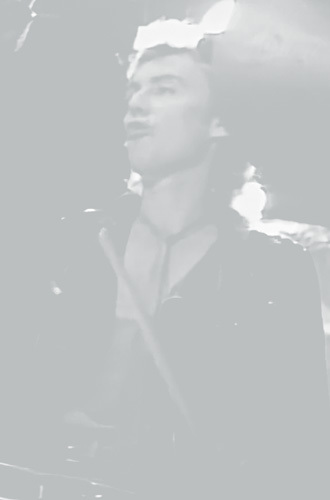 A few seconds of silence are added to the beginning of the track for the video title card on the DVD. The original 1998 Karoake Version of Another One Bites The Dust fades a few seconds earlier, making it not quite a full instrumental version. The audio for this version was later used on the DVD release. Dave "Rave" Ogilvie, producer and remixer of various acts including Skinny Puppy and Marilyn Manson, remixed Another One Bites The Dust for Hollywood Records in 1991. For some reason this remix was omitted from The Game 1991 re-release. This is an Electronic/Dance remix of the song that includes samples of Bohemian Rhapsody. This sampler was issued to promote the then-forthcoming (ultimately unreleased) collection of remixes called Queen: The BASIC Bootlegs. A very, very long remix which is just wild, sampling everything you could think of (radio commercials, other Queen songs, old funk and soul songs) and adding some rap segments while also redoing the backing track. At times it drifts far away from the original, sounding entirely different, and then it somehow makes its way back. This mix is not for purists, but is strangely decent while not being very repetitive. This is the short version of the Long Dusted B-Boy Version; which apparently has been edited by Dave Ogilvie. Like the Long Version, this is absolutely all over the place, but being shorter, it is slightly more focused. Rather than a remix, this seems to me more of an original rap song that has samples of Another One Bites The Dust mixed into it. Chyskillz is a producer of artists such as Onyx and L.L. Cool J. It is really hard to pick out if any of the original song was used; maybe just some of Freddie's vocal was included. Regardless, it is not very representative of Queen's work. 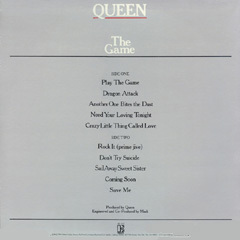 The extremely rare South African Play The Game acetate edits a few seconds from the beginning of the song; editing the opening through Freddie's "hey, hey, hey" lines. A new 96/24 DTS 5.1 surround mix of Crazy Little Thing Called Love was made for the 2002 Greatest Video Hits 1 DVD. Most of the new mixes on this DVD (including this one) were produced and engineered by Justin Shirley-Smith with additional engineering and Pro Tools HD by Kris Fredriksson. The mixes were done at Sphere Studios, London. A few seconds of silence are added to the beginning of the track for the video title card on the DVD. The surround mix of Crazy Little Thing Called Love that was used on Greatest Video Hits 1 has again been used on the DVD-Audio release. This edit from 1992's Greatest Hits VHS features an early fade out of the song. It has been confirmed by Brian May in a 2008 Guitar & Bass magazine and by producer Mack that the original version of Crazy Little Thing Called Love had Freddie playing a solo that later got replaced by Brian's. A full instrumental version that does not begin with a click track. From the 1982 season of Saturday Night Live, this was Queen's only US network appearance. Freddie was not in fine vocal form that night (as can be heard on Under Pressure), but was able to perform this track well. I'm assuming that Grandmaster Muggs is DJ Muggs, who was Cypress Hill's producer and DJ. This is a very strange remix; it is more of an original rap song with samples of Don't Try Suicide vocals mixed throughout. Another interesting gem from 2011's Deluxe edition CDs, this first take of Sail Away Sweet Sister is an interesting work-in-progress version of the song. According to the liner notes, this take features all four members on instrumentation. Brian provides a guide vocal. Freddie's middle vocal part had yet to be made part of the song at this point. This track premiered at the 19th International Fan Club Convention in Prestatyn. This is an entire instrumental take of the song. The instrumentation is very close to what was used on the final version. The Game was released on DVD Audio format in October 2003. The disc featured the original stereo album mix and an all new 96/24 DTS 5.1 surround mix produced by Justin Shirley-Smith. 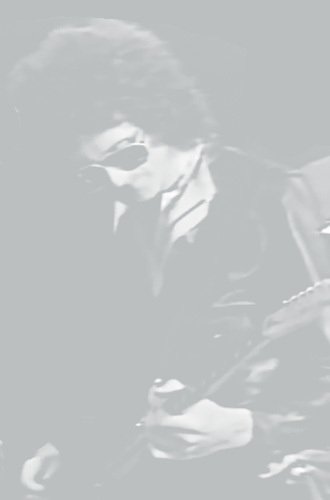 Unfortunately, the original multi-track tape for Coming Soon had been lost; without the original tapes, a 5.1 channel mix of the album version with the necessary effects would have been impossible. So instead, Brian found recordings from another session to replace the missing tape. 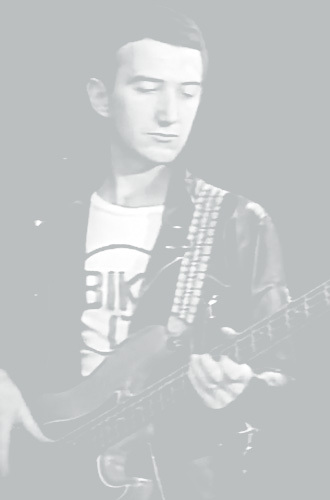 The infamous missing tape was of Roger's backing vocal at the beginning of the track. This new version of the song is exactly the same as the old album version except for Roger's opening vocals (which were taken from another take). This is a neat curiosity and quite surprising if you don't expect it. The Save Me 7" was released 6 months before The Game in the UK. As a result, the single has the same performance but a slightly different mix compared to the final version that appeared on the album. You can really hear the differences in the way Freddie's vocals are mixed in places. The cymbals are buried in the mix and the guitar part around 1:30 is mixed differently as well. The song was a hit in the UK, reaching number 11. A new 96/24 DTS 5.1 surround mix of Save Me was made for the 2002 Greatest Video Hits 1 DVD. Most of the new mixes on this DVD (including this one) were produced and engineered by Justin Shirley-Smith with additional engineering and Pro Tools HD by Kris Fredriksson. The mixes were done at Sphere Studios, London. A few seconds of silence are added to the beginning of the track for the video title card on the DVD. 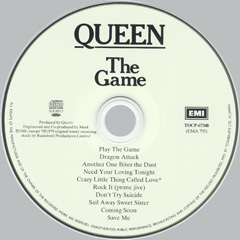 The Surround Mix of Save Me from Greatest Video Hits 1 was reused for the release of The Game DVD-Audio. The Queen promo videos were released digitally for the first time in 1994 on video CD format. The two disc set featured Queen's most popular videos, some of which were minorly edited. Save Me loses the words "it started.." at the opening to a fade-in and a few of the closing piano notes are edited off at the end. A full instrumental version that begins with a click track. The 2004 Karaoke Version has a different click track than the 1998 version. There are now keyboard notes to accompany the click. 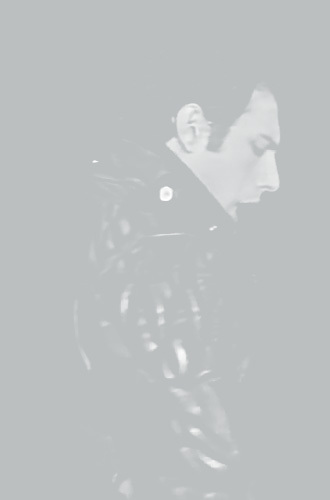 Freddie begins this live performance by introducing Brian on piano. This performance is just as strong as the rest of their 1982 Seibu Lions Stadium performances from Japan. 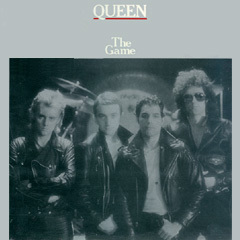 Play The Game was released in mid-1980 and became a modest hit (UK 14, US 42). The B-side was the Roger Taylor penned track, A Human Body. Roger provides lead vocals, drums, and guitar; Brian and Freddie assist Roger with backing vocals. It has been rumoured that the song fell out of favor with Roger. As a result, it did not appear on subsequent CD remaster catalogue campaigns for Hollywood Records' 1991 releases or the 1994 Digital Master Series from EMI. Finally, the track entered the digital age with 2009's The Singles Collection Volume 2 and 2011's Deluxe Edition of The Game. This track premiered at the 2004 UK and Dutch Fan Club Conventions. This is an Instrumental demo from 1979 which eventually became the basis for Coming Soon.